A version of this story originally appeared in the International Examiner and has been updated and republished with permission. With the Seattle Navigation Center shelter scheduled to open in Little Saigon this year, city officials hope to transition homeless people off the streets and into permanent housing. But Little Saigon community members are calling for more clarity on the plan, transparent community engagement and city-allocated resources to address impacts on the neighborhood. Some Little Saigon community members demonstrated at City Hall Monday to bring their demands to the council. 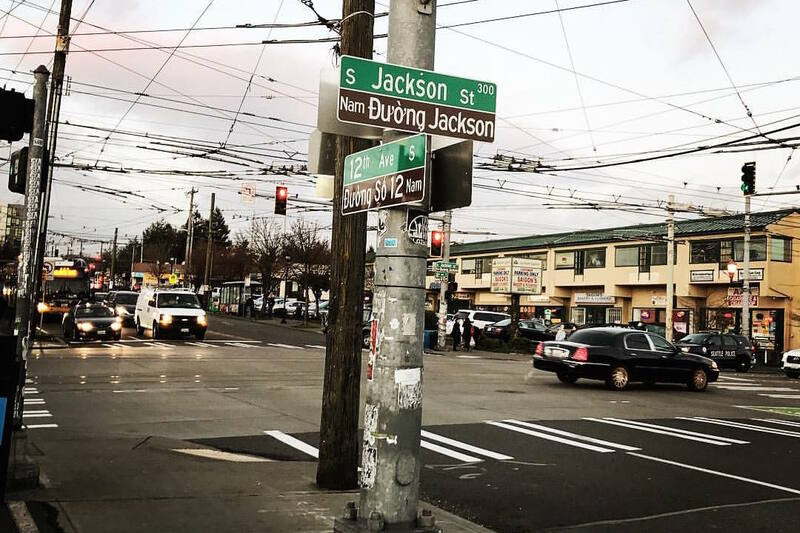 Mayor Ed Murray responded this week in a letter to community group Friends of Little Saigon, admitting that the first neighborhood meeting on the issue had “short notice,” and pledged improved communication with the Chinatown-International District and Little Saigon neighborhoods. 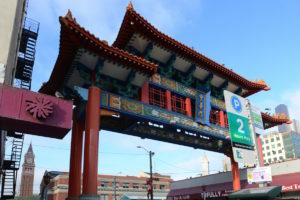 More than 30 people gathered at a public safety meeting hosted by Seattle Chinatown International District Preservation and Development Authority (SCIDpda) on Feb. 21. Many voiced frustrations about the city’s lack of prior communication and concerns about the potential effects of the shelter on the CID community. City of Seattle representatives, Ben Han with the Department of Neighborhoods and Jess Chow with the Human Services Department, heard questions and concerns. Local business owner and Friends of Little Saigon member Tam Nguyen said the community supports city efforts to help the homeless. 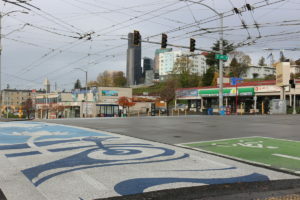 A letter dated Feb. 20 to city officials requesting a pause on the project was signed by Friends of Little Saigon, Helping Link, Summit Sierra Public School, Viet Wah Supermarket, Asian Plaza Redevelopment, Vietnamese American Community of Seattle & Sno-King County and Tet In Seattle. The organizations called the decision to locate the center in Little Saigon without prior engagement “disrespectful, short-sighted, and antithetical to the values of racial equity that we expect from a ‘Sanctuary City.’” The letter requested a hiatus on the project until city officials create an inclusive community engagement plan with the Little Saigon community, hear from the community regarding their concerns and needs, and allocate the required resources to mitigate safety, health and financial impacts from the Navigation Center. 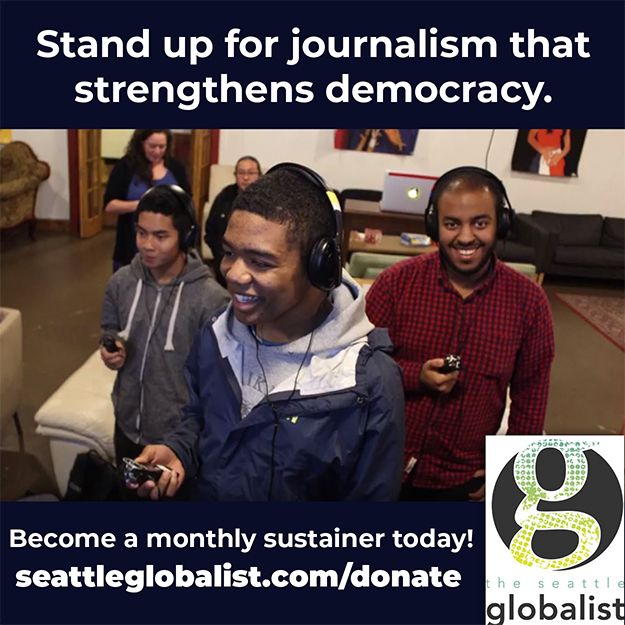 On Feb. 8, the Office of Mayor Ed Murray announced the center would be located at the Pearl Warren building at 606 12th Ave. S. and would open to a limited number of people this spring. While the facility is being completed, the city plans to provide similar services at temporary sites. The center fills a gap in the city’s shelter types, as it would be a 24-hour, low-barrier shelter that connects homeless individuals to services and helps them move to stable housing, said Chow, a planning and development specialist. The center is modeled after the San Francisco Navigation Center that opened in 2015. Low-barrier means the center will have minimal requirements. The shelter, to be operated by the Downtown Emergency Services Center, will serve 75 adult clients who are referred by a navigation team. The dormitory-style living facility will have showers, restrooms, laundry, lockers and meals. On-site staff will include police, service providers, case management, janitors and behavioral and mental health specialists. During their 30-day stay, individuals will store belongings at the center and can move in with a partner or pet. “This is a big opportunity for the city to continue to communicate the barriers that people are facing, and get creative and innovative about what shelter looks like for people in this situation,” Chow said. The Pearl Warren building is currently used by Compass Housing Alliance for 75- bed men’s shelter Operation Nightwatch, which the city would relocate. Before choosing the Pearl Warren building, the city considered locations in industrial areas like SODO. Reasons for the decision included the building’s available space, lack of environmental pollution and Murray’s plan to address homelessness in the I-5 East Duwamish Greenbelt and surrounding area, Chow said. After months of lease negotiations, the city came to an agreement to begin using the building on Feb. 1. The city is renting the building and plans to make basic enhancements to it, such as re safety updates and expanded shower facilities. Construction could happen in sections. Community members criticized the city’s lack of engagement with the neighborhood prior to the announcement and asked why the city only came to them after the decision had been made. 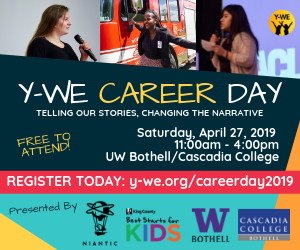 Many spoke up about the community feeling shut out from past decisions, such as the First Hill Streetcar and the Nickelsville encampment on South Dearborn Street. Tam Nguyen questioned whether the city has considered the perspectives of Little Saigon businesses, employees and customers. Pham said the engagement issue goes beyond the Navigation Center. Engagement might look like translating information and going door-to-door. Attendees at the public safety meeting asked whether the city has explored other sites, has available permanent housing for the center’s clients and how it plans to address unintended effects, such as increased public safety issues. Some asked how rules would be enforced at the center and whether weapons could be accessed. 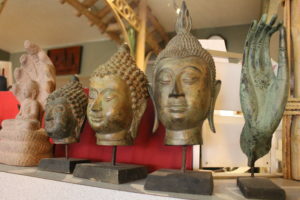 Minh Duc Nguyen, executive director of Helping Link, said she was worried about the center’s impact on the community. 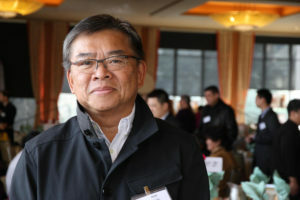 Nguyen said current public safety issues in the area — such as car break-ins, robberies and prostitution — affect the nonprofit, which offers English Language, computer and citizenship classes for the Vietnamese community. Nguyen spoke about her frustration with getting more public safety in the area. “This is like the last straw that breaks the camel’s back,” she said. Pham is concerned about the center’s indirect community impacts, particularly after an uptick in safety issues when Nickelsville was established. According to Chow, the city is working to ensure that there is no additional impact on the area. 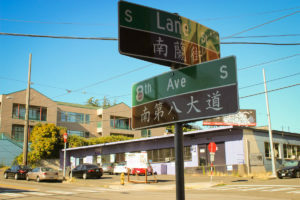 Han, city liaison with the Chinatown International District Public Safety Task Force, said he hopes to start conversations about the city’s outreach and engagement with the neighborhood. 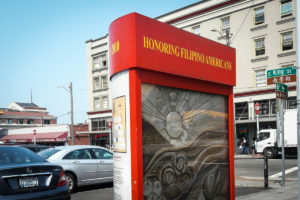 Chow said the city hopes to engage the Little Saigon community in two areas being planned: the process of referring people to the center and evaluating the center’s success and community impact. More public meetings with further information will occur in the spring. Tam Nguyen said it was necessary for the city and Little Saigon to work together to come to the best solution. “If we want to move the Little Saigon district forward to be comparative with the mainstream, to make everything feel safe and the district vibrant, we want to work with the city,” Nguyen said. Tags: Chinatown International District, Little Saigon. Lyra Fontaine is a writer who enjoys telling stories that inform and empower communities. A proud Minneapolis native, she now calls Seattle home. She is a former reporter for the Cannon Beach Gazette in Oregon, where she covered everything from city government to stranded whales. Is it possible you would know where you can find this letter to the city, is there a copy anywhere? I am reporting for Summit Sierra Public Schools.